Engine: 4.6 Supercharged 500 H.P. 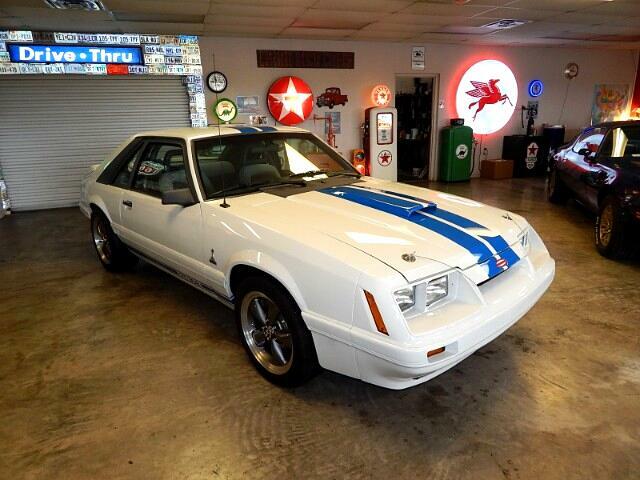 Lone Star Muscle Cars is Proud to Present This super Rare And Collectible Ford Mustang Predator. For four years, between 1983 and 1986, the Predator Mustang was manufactured and sold through select dealerships across the country. The brainchild of Tom Solomon, a legendary designer involved in the creation of the original Shelby and Cobra Mustangs, the Predator Mustang is one of the rarest and most sought-after pony cars from the Mustang's Fox body era.1985 saw between 135 and 140 Predator Mustangs produced and sold at dealers across the country. The R model was offered again, adding under-drive pulleys, LeMans striping and a 140 MPH speedometer to the package. The standard Predator was more or less unchanged, except for a new four-spoke Enki wheel. For the first time, the car could be upgraded with a number of dealer-installed options, including harness seat belts and a three-spoke wheel. Now This One Of A kind is Powered By A SVT Duel Overhead Cam With A Tiegmeir Ported Blower And Ported Throttle Body.Larger Heat Exchanger with off road X-Pipe and Magnaflow Cat back System. This Car Produces 500 H.P. To The Rear Wheels. 6 speed standard transmission from an 03 cobra as well as full independent rear suspension and brakes. This car is not for the amateur this car will run as fast as you can hang on. Call for more info. Message: Thought you might be interested in this 1985 Ford MUSTANG GT.